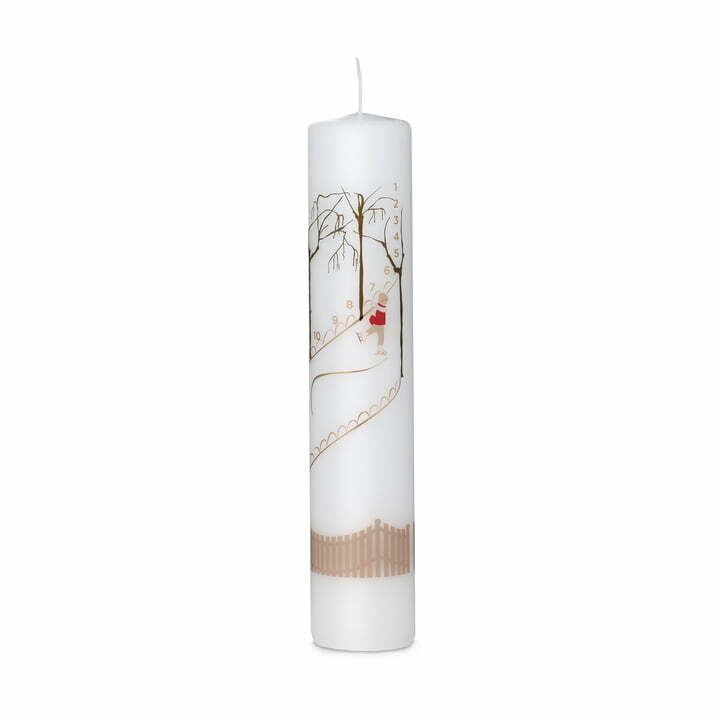 The highly detailed calendar candle was designed by the designer Jette Frölich for Holmegaard. Every day, little by little, the lit candle approaches the 24th mark - making the time leading up to Christmas an even more special time of the year. From Dec 1st to the 24th, with daily lighting, the timeline painted on the side of the candle counts down to what may be the most cherished day of the year, Christmas! The Christmas Calendar Candle makes the perfect Advent calendar or a great alternative to the classic Advent wreath. This year, the Holmegaard Christmas collection 2018 is based on motifs from the Christmas market featuring skating children in silhouette style. 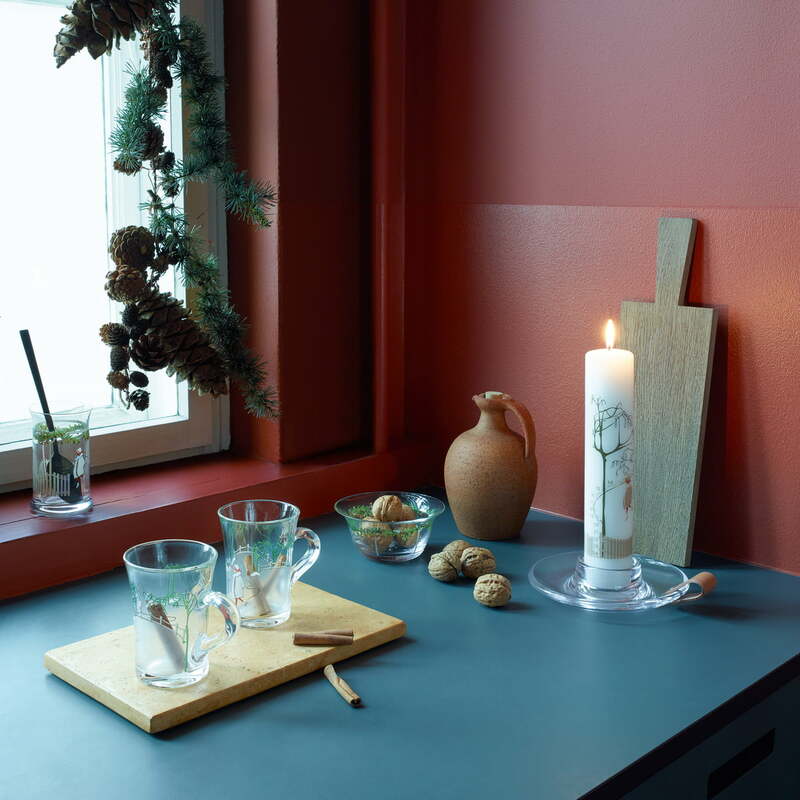 The design blends in perfectly with the Holmegaard Christmas collection, creating a perfect winter wonderland! Die detailreich verzierte Kalenderkerze von Holmegaard wurde von der Designerin Jette Frölich gestaltet. Stück für Stück nähert sich die Kerze beim täglichen Erleuchten der 24. Markierung - die Zeit bis zum Weihnachtsfest wird so besonders gemütlich. Die Holmegaard Weihnachtskollektion 2018 orientiert sich dieses Jahr an Motiven vom Weihnachtsmarkt mit schlittschuhlaufenden Kindern im Scherenschnitt-Look. Das Design fügt sich hervorragend in die Weihnachts-Kollektion von Holmegaard ein und sorgt so für winterliche Stimmung im Ambiente.